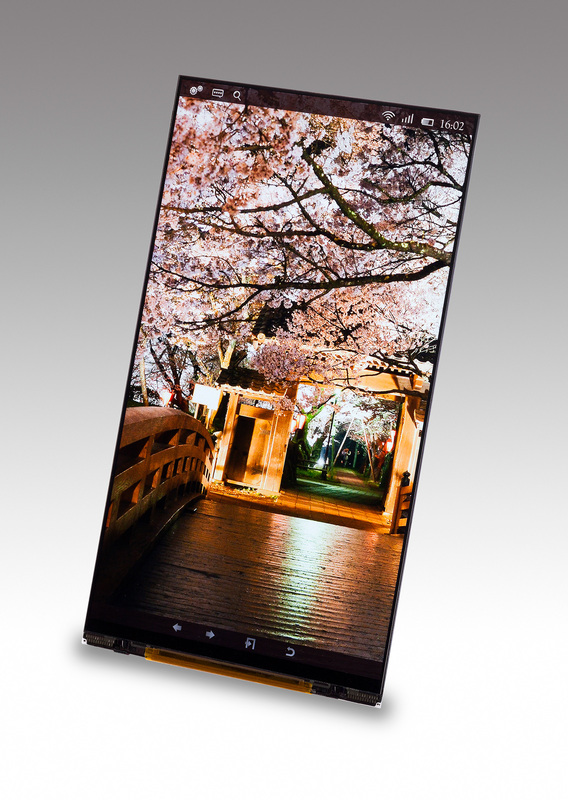 October 24, 2013 (Tokyo, Japan): Japan Display Inc. (JDI), a global leader in mobile display technologies, has developed a 5.4-inch WQHD (1,440 x 2,560 pixels) TFT LCD module designed for smartphone use. The display allows users to enjoy precise and dynamic images featuring the world's highest resolution density of 543ppi. The display's low temperature poly silicon (LTPS) technology not only enables low power consumption due to increased panel transmissivity, but also a thinner module and narrower dead-band2, which suits mobile-use devices like smartphones. In addition, JDI has also developed another high-density (473ppi) 6.2-inch WQHD TFT LCD module for smartphone use. We exhibit these displays in Japan Display Inc. booth on October 23 to 25, 2013, during FPD International 2013 in Pacifico Yokohama, Japan. Information in the press releases, including product prices and specifications, content of services and contact information, is current on the date of the press announcement, but is subject to change without prior notice.